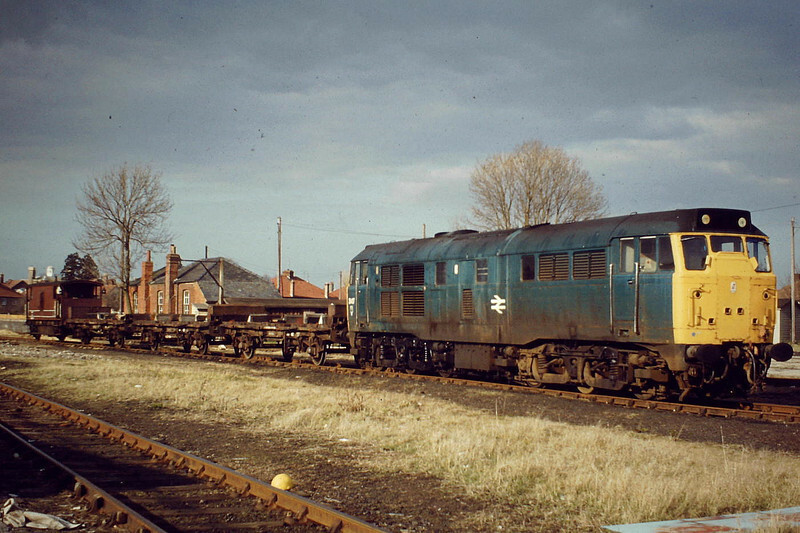 31417 waits to return to Whitemoor with a short rake of steel empties, Wisbech Yard, 03/82. Note LMS type brakevan. Also, the Goods Offices still standing on the Dock - this used to be Wisbech East's Goods Yard at one time. I think this is one of my favourite pictures of mine.